Today, USDA Rural Development is investing in smart grid and broadband to empower rural communities with state-of-the-art infrastructure for a more reliable and efficient electricity grid, like this investment in New Mexico. May 20, 2016 is the 80th anniversary of the Rural Electrification Act of 1936. The REA was created to bring electricity to farms. In 1936, nearly 90 percent of farms lacked electric power because the costs to get electricity to rural areas were prohibitive. REA funding and the hard work of Rural Electric Cooperatives transformed agriculture and life in rural America into productivity and prosperity. Thanks to hard work and REA loans, by 1950 close to 80 percent of U.S. farms had electric service. Since then, generations have heard the stories about “the night the lights came on,” a significant date for farm families. 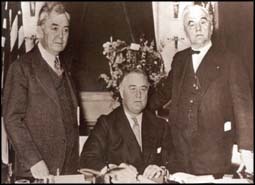 Eighty years ago today, President Franklin Delano Roosevelt (center) signs the Rural Electrification Act with Representative John Rankin (left) and Senator George William Norris (right). Today’s rural electric cooperatives provide electricity to over 5.5 million rural customers. Since 2009, USDA has invested over $34 billion in nearly 1,000 rural electric projects to deliver affordable, reliable electricity to rural areas. 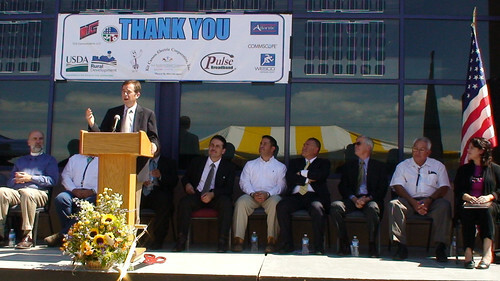 Today’s projects strengthen rural electric systems and fund renewable energy and smart grid technologies. To see more, visit: On 80th Anniversary of Rural Electrification Act, USDA Invests More Than $200 Million in Electric Infrastructure Improvements in Five States. 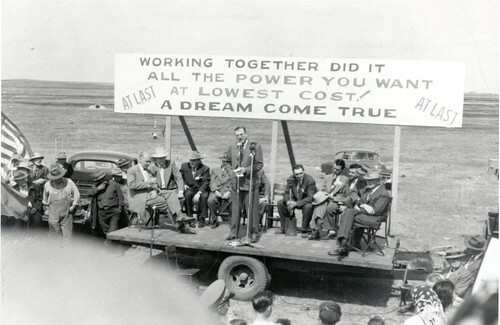 For eighty years, farmers, ranchers and rural communities have been working together with USDA to bring power to rural America.